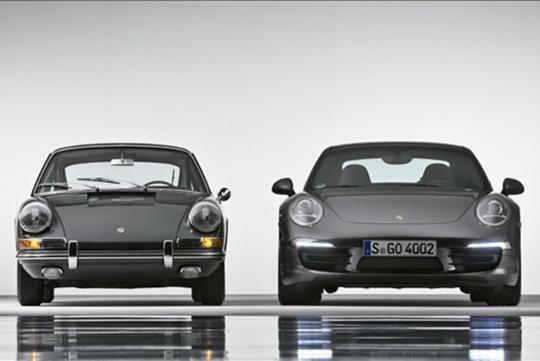 The original 911 was revealed to press and public at the 1963 Frankfurt Motor Show as the 901. 50 years have since passed. To commemorate its golden anniversary, Porsche has created a limited edition 911 Carrera S and only 1,963 units will be built. Set for a world premiere at the Frankfurt Motor Show in September, the '911 50' will be available in two unique colors - the darker Graphite Grey and a lighter Geyser Grey metallic. 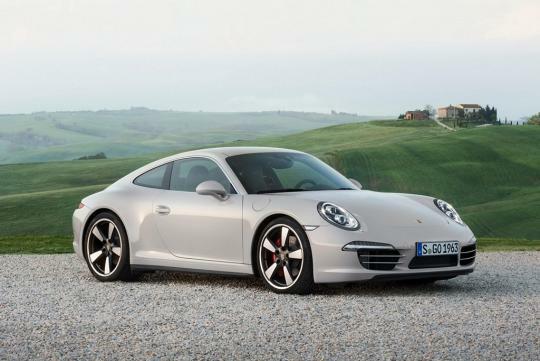 The limited edition coupe is 44mm broader across the rear wheel arches, a feature typically reserved for AWD Carrera 4 models. Other exterior updates include a '911 50' badge on the rear lid, chromed window frames, SportDesign side mirrors and new 20-inch alloy wheels. On the inside, '911 50' logos can be found on the rev counter, headrests and door sill plates. 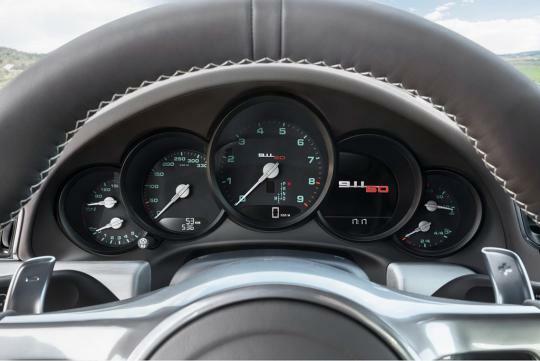 There are styling touches reminiscent of the original 911 such as green labelling on the instruments with white pointer needles and silver caps on the instrument pivot pins. The fabric pattern on the center section of the leather sports seats seemed like a blast from the 1960s 'Pepita' tartan design. Powered by a 400bhp 3.8-litre flat-six engine, the '911 50' edition with PDK transmission sprints from 0 to 100km/h in 4.3 seconds before reaching a top speed of 298km/h. 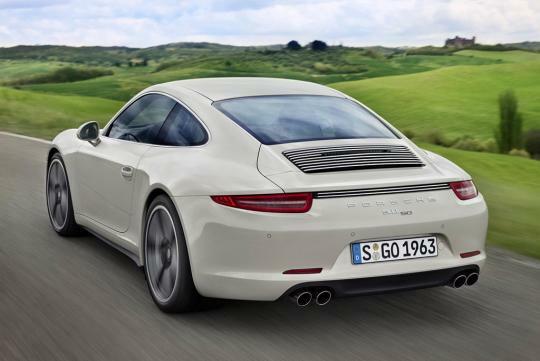 The coupe is equipped with Porsche Active Suspension Management (PASM) to compensate for the wider rear body and Porsche Torque Vectoring (PTV) with rear limited slip differential. Would you rally your new Porsche 911 GT3 RS?